With every child you have, expect clutter… lots of clutter. As a new mom, I gleefully added everything under the sun to my registry. And then the baby came. As he grew, we received more and more gifts and clothes and toys, until I was ready to move out of my house! 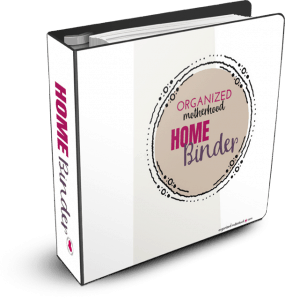 But as I became overwhelmed by the clutter, I realized that many of the decluttering books, such as The Life-Changing Magic of Tidying Up, didn’t address how to deal with kids’ clutter in a realistic way. Instead of the “decluttering magic” that I read about, I found myself constantly battling clutter. 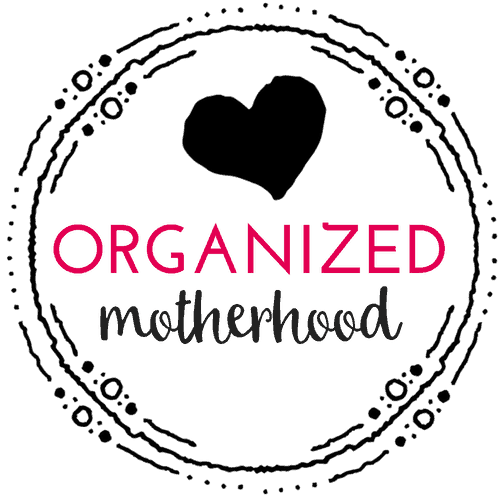 Now that my kids are getting older, I’ve learned to manage the clutter. It’s much better to take control of the clutter (in other words, get it out of the house) than try to clean and step around it. But trying to declutter with kids is a process. It’s not something that you can do once and be done forever, despite what the KonMari technique promises. Dealing with kids’ clutter requires systems and plans and trying to stop the clutter before it even enters your home. Don’t get me wrong: kids’ clutter doesn’t have to be overwhelming. 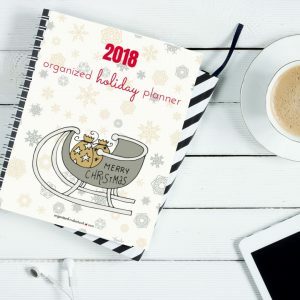 By adding it to your regular cleaning plan (download a copy of my cleaning plan here) and reducing the amount that enters your home, you’ll be able to keep your home organized and clutter-free! 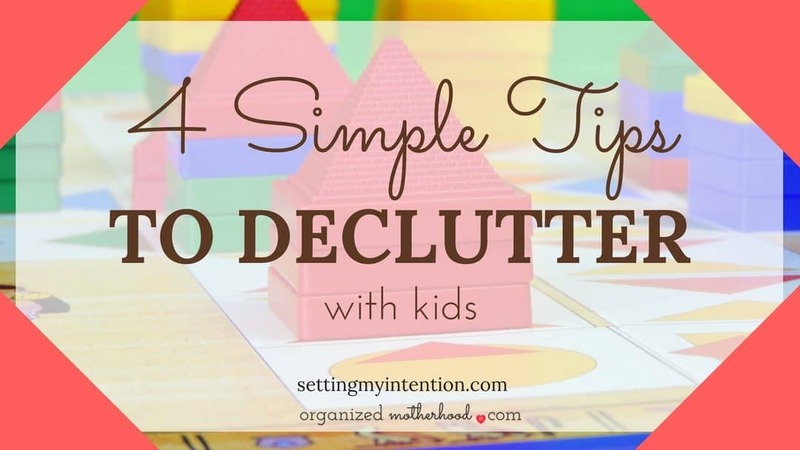 This week, I’m so excited to share my tips to declutter with kids on Setting My Intention. 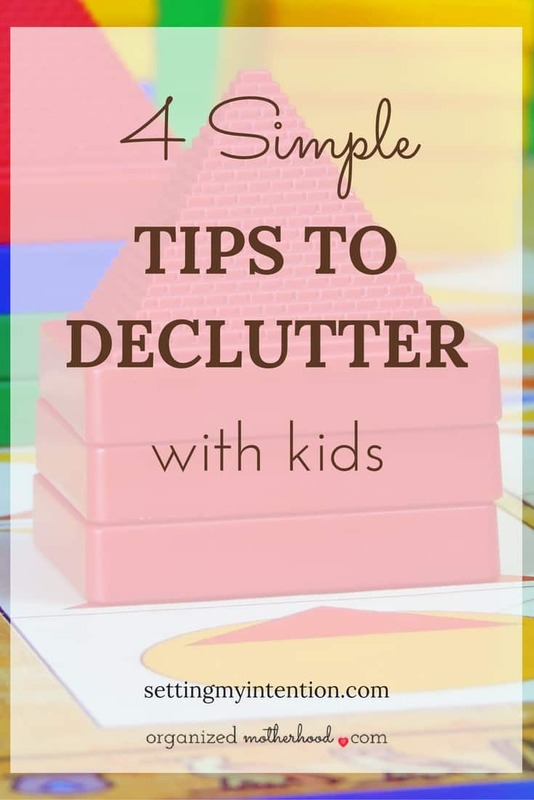 If you’re looking to declutter and organize your kids’ stuff, read 4 Simple Ways to Reduce Kid Clutter here!